So i recive crazy updates this morning about my ceremony.! I dont know if is a glitch or not customer service is worthless.! And i cant get and info pass before my first ceremony so idk what to think.! i got schedule on march 6 for a oath ceremony that will take place on april 5.! But then today that ceremony got de-schedule and another day was provided wich is may 3.! (But a the same time got de-schedule). And after that being de-schedule got another letter for the same day.! So 2 times (may-5-19).! Any one else any advise ? I did contact them but basically they said “it looks like you got de-scheduled, but scheduled againand that one was de-scheduled as well” and for the las your ceremony date is may 5.! the think is that the other one that i got de-schedule is the same date as the las schedule one.! When you call their costumer service number, ask to speak to a level 2 person, they can look into your file and give you a much more conclusive answer. 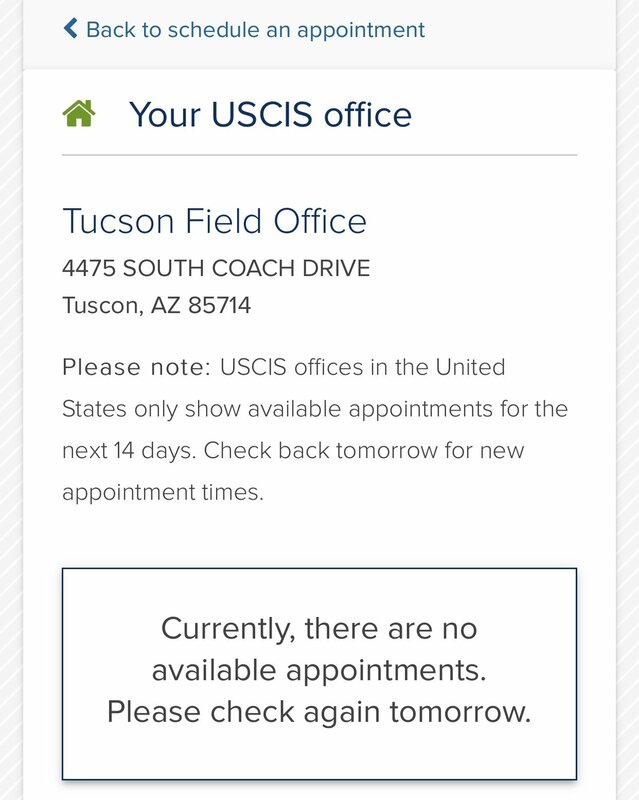 Or you can set up an infopass appointment for your local USCIS. I've been left scratching my head whenever I've talked to a level 1 rep (the first person you typically speak to). Hm.. Yeah, in your case an infopass appointment may be the best route. 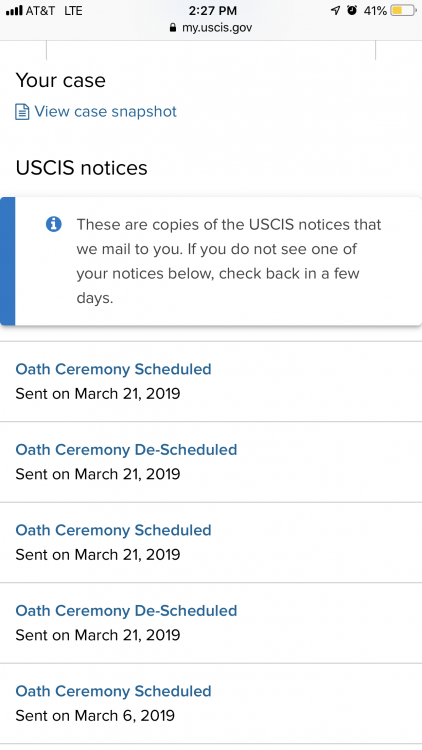 In my case when my first oath was de-scheduled the tier 2 person was able to tell me the exact reason, as well as all other information prior to receiving the physical letter. Yeah i just hang up with the court have that will conduct the ceremony and they said that they still have the ceremony for that day bu i will have to contact inmigration to see ehats going on .! The think is that i cant request a infopass before the actual original ceremony..!